The Ehrlund Acoustic Pickup (EAP) is a linear contact microphone for instruments with an acoustic sound box such as the guitar, violin and double bass. Every instrument is unique and finding the right location for the best sound is a matter of trial and error. 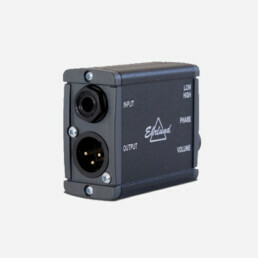 This is made easy by the EAP as it is easy to move around between different instruments. It is simple to attach to the sound box with adhesive putty. You can even mount the pickup on the inside of your instrument through the sound hole. 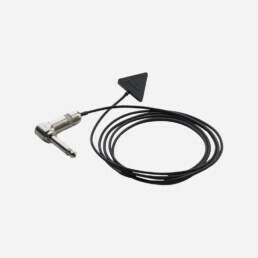 The Ehrlund Acoustic Pickup (EAP) is a linear pickup microphone intended primarily for acoustic string instruments such as guitar, violin, double bass and cello. It can, however, also be used for percussion or other instruments that vibrate or resonate. 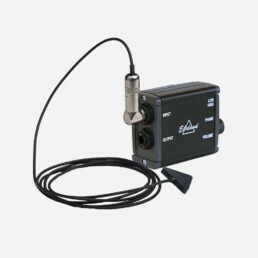 A linear microphone means the pickup reproduces a flat frequency response and does not alter or “colour” the sound of the recording or output at all. The EAP captures the vibrations in the acoustic instrument, which enables the microphone to deliver very good separation even in normally “impossible” environments where the other musicians are generating high sound levels on their respective instruments. 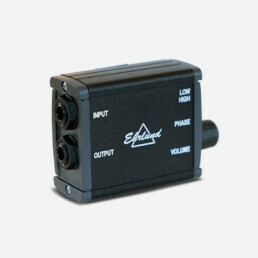 We strongly recommend you combine the EAP with a preamplifier that has a phase and frequency linear response to get the most out of your pickup – Ehrlund Preamplifiers are optimized for this.